Willie Blue The Moon APHA # 562,398-2000 Brown Overo Mare Sire: Hancocks War Leo by Big Time Emphasis x Heaven Scent.Emphasis,Swift Peg,Stormy Hancock Two and War Leo Bonanza our a few more names on the top side.Dam: Justa Blue Moon by Doctor Blue x Go Ding A Ling by Jos Blue Blood and Gem Bar King.Gilley is performance.halter and working and all around using horse bred.She is a great producing mare,with good looks,breeding and a great mind which is passed to her foals.She is 15.1hh and fairly stocky with good conformation.Her foals have been very quiet,level headed and easy to halter train and teach,i have been told their easy to train under saddle as well.To check out more horses in her pedigree such as Coy's Bonanaza,Blondy's Dude and Air Force One check out our reference horse page. 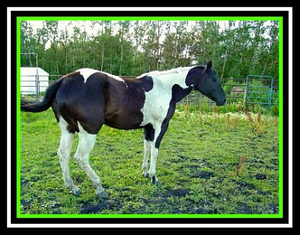 **Check out Gilley's 5 foals-2008 Black Tobiano Mare HF Dashin Blue Moon,2009 Black Tobiano Gelding HF Dashin To The moon-both are by Dashin Duster a black tobiano homozygous stallion.2010 Solid Buckskin Gelding HF Tru Half Moon is by Tru High Style,2013 Solid Chestnut Gelding Compass is a Sport horse by a black 17.0hh warmblood stallion named Gaios.2015 Solid Brown Mare HF Tru Dark Moon is by Tru High Style.All foals are on our foals page and HF photo album. 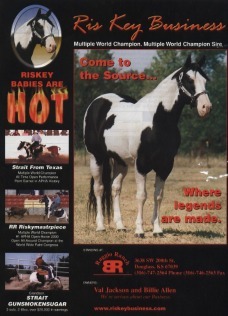 **Gilley has been exposed to Banner for a 2019 foal. 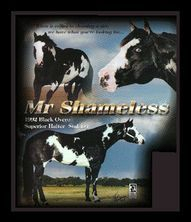 RDH Im Shameless APHA #739,008-2003 Bay Roan Overo Mare.Sire: Mr.Shameless by Denny's Chance x Speacial Dee.Dam: Red Star Lace by Rhinestone Robin by Mr.Robin Boy x 21 Easter Jewels who is a granddaughter to Painted Jewel.I was not looking for another mare as I have enough,but couldn't pass up this one when she was offered to me!! 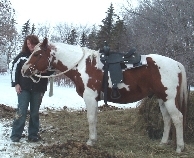 This Alberta bred mare is a own daughter of the legendary Mr.Shameless and a great-granddaughter on her dam's side to Mr.Robin Boy.Ironically I have known this mare for a while and know a few of her previous owners.I saw this mare when i went to look at another mare who i purchased,she was also for sale.I didn't buy her at that time as I couldn't buy two of them.It's funny how things work out!! Needless to say i am happy to have her now and look forward to great things with her!! 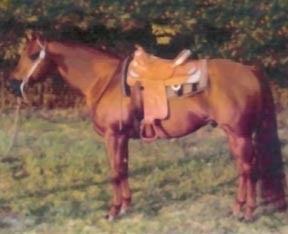 She has had two foals that are on the foals page and his broke to ride as well. 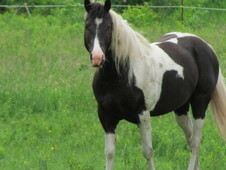 **Check out her 2 foals 2011 Black Overo Gelding PPR Spartan by Almost Paid Four and 2013 Champagne Dun Overo Mare HA Champagne On Ice by QH stallion Watch Vanzi Skipabar they are on our foals page. 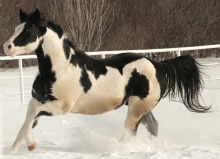 **Was exposed to our stallion,but did not catch and it is to late in the year to re-breed.We will try again in 2019. 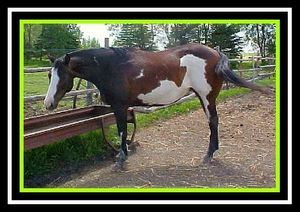 PPR Almost A Angel APHA # 998,741-2011 Black Tovero Mare by Almost Paid Four x CL Imprinted Angel.Gypsy is fantastically bred she has many big names in her pedigree.She is halter & performance bred,her pedigree is way to extensive to list all of the horses that are in on here-most of them our on our reference horse page.Gypsy was a nice surprise for us as her dam had always thrown solids up until this point,so to get black and white with a full and partial blue eye was awesome!!!!! Her sire Almost Paid Four is by Rock Four a Sonny Dee Bar grandson who is also a half brother to Blue Mark the sire of Blue Max.Her dam is an own daughter of RH Mr.Imprint and also a granddaughter of both Sockett's Imprint & Kid Clu who is her dam's sire.We are very fortunate to own this mare,she'll be a definite asset to our program,she is very quiet,sweet and good natured and is easy to deal with. **Gypsy has had her 2017 foal HF TruImAlmostPerfect a beautiful Solid Buckskin Filly that is pictured on our foals and sales page. 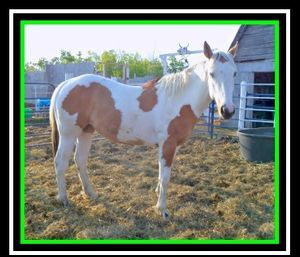 ** Gypsy has been exposed to Spike for a 2019 foal. 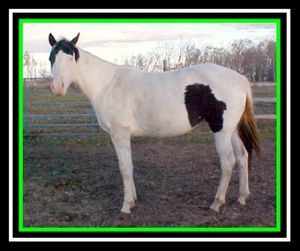 SR Tequila Dream APHA # 1,040,347-2014 Dun Tovero Mare by Sire Royal Tequilla x PPR Rapids WhiteAngel.This mare is one I wanted for quite a while,she was bred in Saskatchewan by Sunset Ridge Ranch.Her dam's 3/4 sister PPR Rapids Fancy Face was the first registered paint I bought when I got into paint horses.I then when onto buying Fancy;s dam Bold Willow who was in foal with what would be her full sister.Anyway I love the breeding on this girl,her sire is VERY well bred and is almost 95% foundation quarter horse bred and has horses like Peponita,Doc Bar and Two Eyed Jack and many more greats in his pedigree.Her dam has many well bred paints in her pedigree such as Pac Man,3J Chick Oil,Dual's Reflection and many more.I look foreward to this girls future here at HFP,she is performance bred and know she'll be a great asset to our program.She has one full blue eye and a partial,both have black eye liner.She is very stocky,pretty and is very smart with a good mind. **Karma has had her 2018 foal HF Tru Royal Tequila a lovely Solid Grullo Colt that is pictured on our foals and sales page. 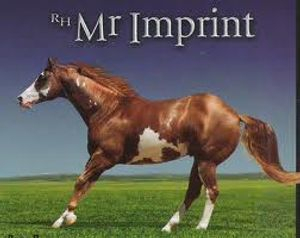 ** Will be bred in 2019. 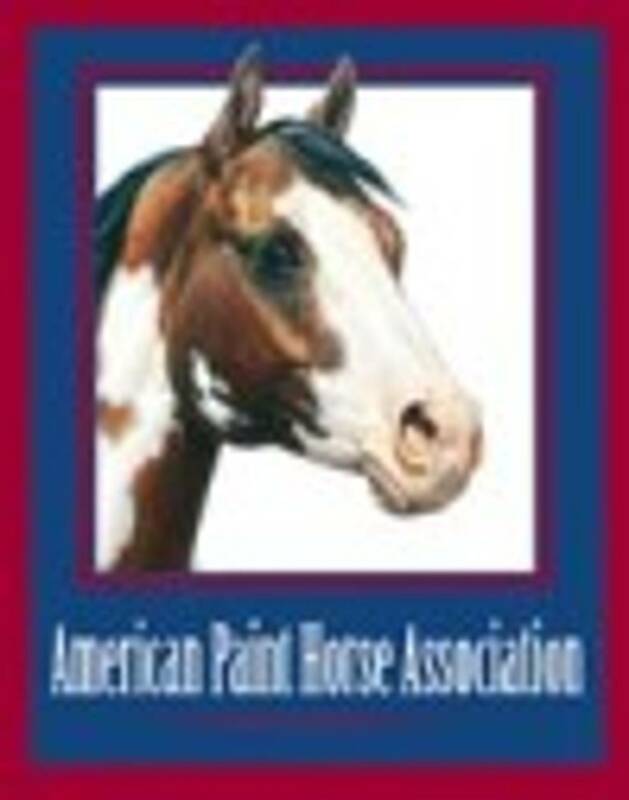 HF Hollywood Angel APHA # 106,1990-2016 Solid Palomino Filly by Echo Amos Hollywood(AQHA) x CL Imprinted Angel.This filly is royally bred and has RH Mr.Imprint,Socketts Imprint,Sockett,Kid Clu,Mr.Hollywood Zipper,Zips Famous Amos and Zippo Pine Bar on her papers-there are many more just off of her paper's such as Zips Chocolate Chip,Ratchett,Obvious Conclusion and Sonny Dee Bar just to name a few.I was hoping for a palomino filly and didn't care if there was a white spot on her-she has one small hind sock.I knew she'd be a keeper due to her fantastic breeding.Ivy is maturing nicely and will be added to the broodmare band in the future.